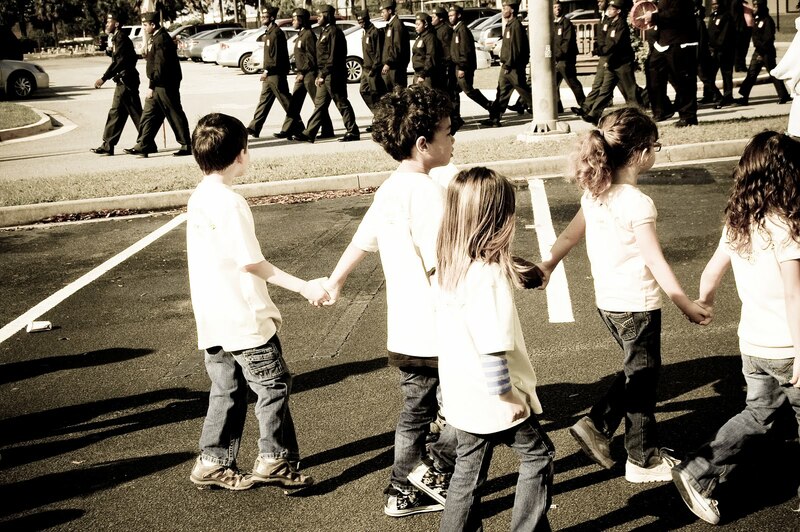 Did you know that April is Month of the Military Child? Sadly, I think so few people know about this month-long dedication to our mini-heroes. Even worse, with all of the talk of foreign affairs & troop deployments, we rarely talk about what the kids have to struggle with. I don't need to go into detail about all they endure & sacrifice because I'm sure you're already aware. Year long deployments, stressed out parents, frequent moves, and the list goes on. The amazing thing about them though is that they do it all with a smile & never fail to brighten my day. So if you know any military brats, be sure to give them an extra hug this month. Make sure they know you support & appreciate them. 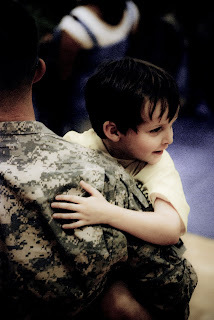 In honor of our mil kids everywhere, I salute (& hug) you, our little heroes.